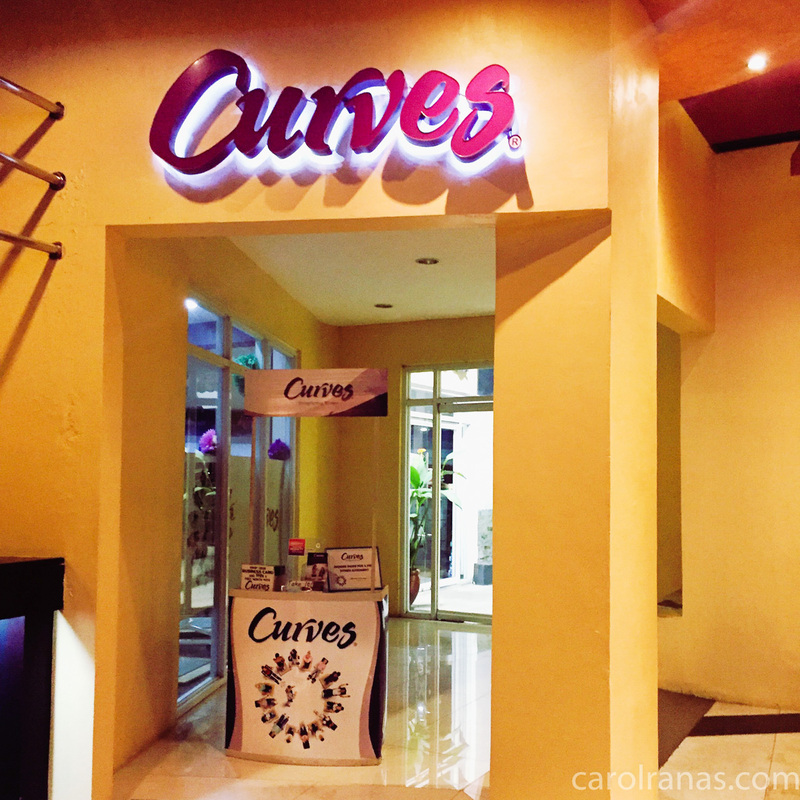 So I was really excited to give Curves a try. Their studio is quaint compared to other gym that I've been to. They have limited equipment for strength training, but their hydraulic resistance machines are enough to make your heart race and burn those calories. All the trainers in Curves are friendly and accommodating. They gladly assisted me as I try to figure how the Circuit training works. Despite their friendliness, they encourage you to dig deeper and push harder in order to maximize the 30 mins workout. What I also liked at Curves is that you won't be needing a headset. The whole gym is pumped up with cool dance tunes. They also have a system wherein you'll be asked to move from one station to another, or even to check your heart rate just to make sure you are on track. So music and instructions is resonating through the whole gym, yet you can still hear your trainer or even talk to the girl beside you is a harmonious environment to motivate you to work harder. 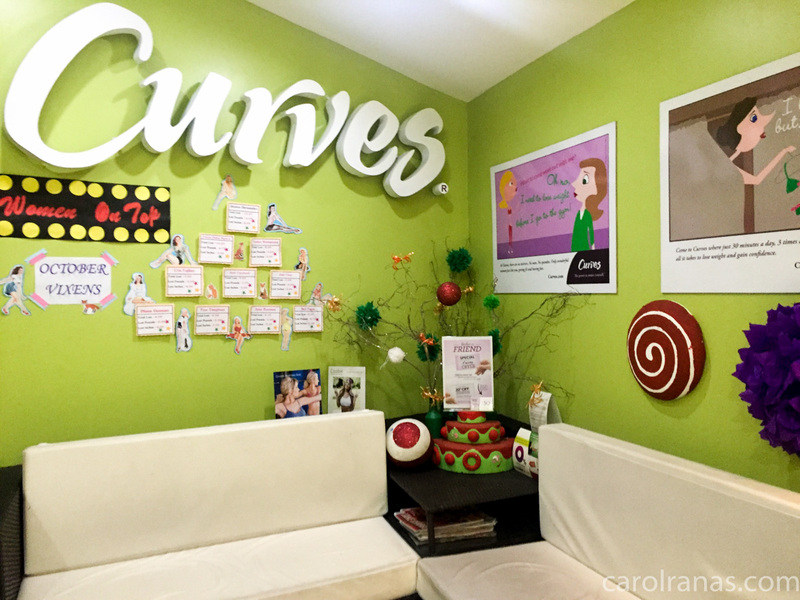 Curves Workout have been tried and tested to be safe, effective and efficient at 30 minutes. The goal is to make the 30 min workout the toughest one, so you really need to work extra hard. So the only downside of me working out at Curves is that they just advise you to workout for just 30 mins every visit. With my almost sedentary lifestyle, coupled with my food adventures, a 30 mins workout everyday will not be enough for my body to shed those stubborn fats (This is just based on my experience). Let alone 30 min workout for just 3 days a week (this is what they usually advise at Curves). So the adventurous me tried to do the 30 min circuit training and the 30 min zumba workout. The trainers allowed me, keeping a keen eye if ever I try to injure myself with this foolish task. It was really a fun workout. Curves' machines are the right balance, some equipment are easy so you'll manage to do more reps and some are really quite hard that you'll struggle to make it to 10 reps. The two machine that I dread most is the squat machine and the other one that targets your obliques by doing twists using the machine. After every workout, you'll feel good and light because you'll be releasing endorphins. You'll have more energy throughout the day. In the past, I usually work out hard for 2-3 hours and I always end up feeling depleted and super exhausted because I pushed myself too far. The beauty of the 30 min workout is that you'll release enough endorphins you'll be needing to start your day while still having some energy throughout the morning. Of course you may want to fuel up with food so that you could have a productive day. I'll be cooking up something with Curves for you my beloved readers. Stay tuned! For more information about Curves and their program, Like their Facebook Page and get the first dibs on their promotions and encouraging community. For updates on my workouts, follow me on Instagram (@carolranas)!